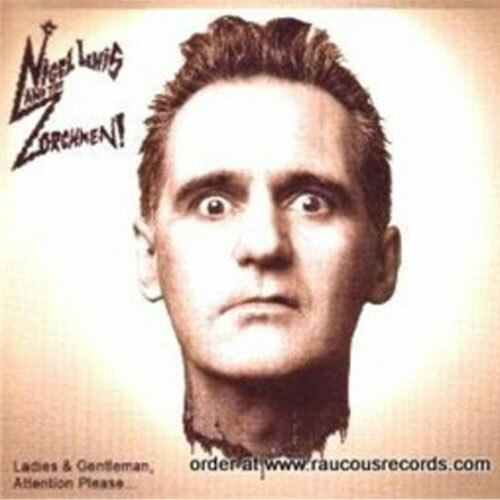 Nigel Lewis earned a prominent spot in the Psychobilly Hall of Fame as founding member of The Meteors, originators of the genre. Later on he expanded his legacy with The Escalators and rockin' garage giants the Tall Boys. 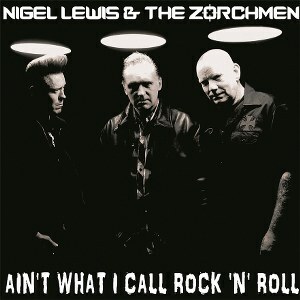 In the past year Nigel Lewis hit the stage with Thee Andrews Surfers and the Dead Kings, and toured with his main backing band The Zorchmen. The latter also joined him in the studio for the creation of 'Ladies &Gentlemen, Attention Please...' This brand spankin' new album embodies a fresh dose of Lewis originals, ranging from old-time rockabilly to twisted shots of reverb and psychotic trashy tunes. The songs are unpretentious, yet highly infectious, reflecting Nigel's free 'n' easy attitude. A remarkable record like this could never be made by uptight rock & roll rookies. But hold your horses, that's not all. This release gains even more weight by a second disc, stacked with hits, recorded live in Hamburg, Germany in 2006. 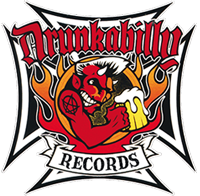 In total that means nearly two hours of rockabilly psychosis!